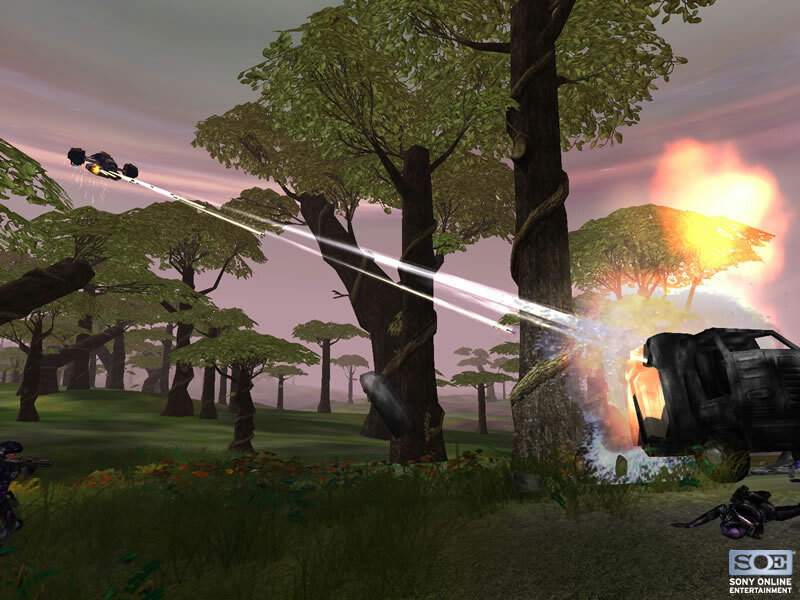 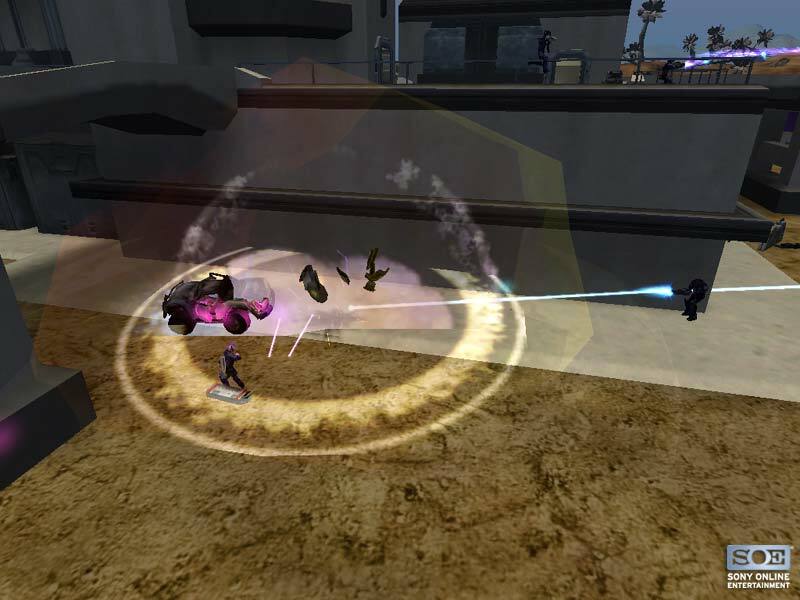 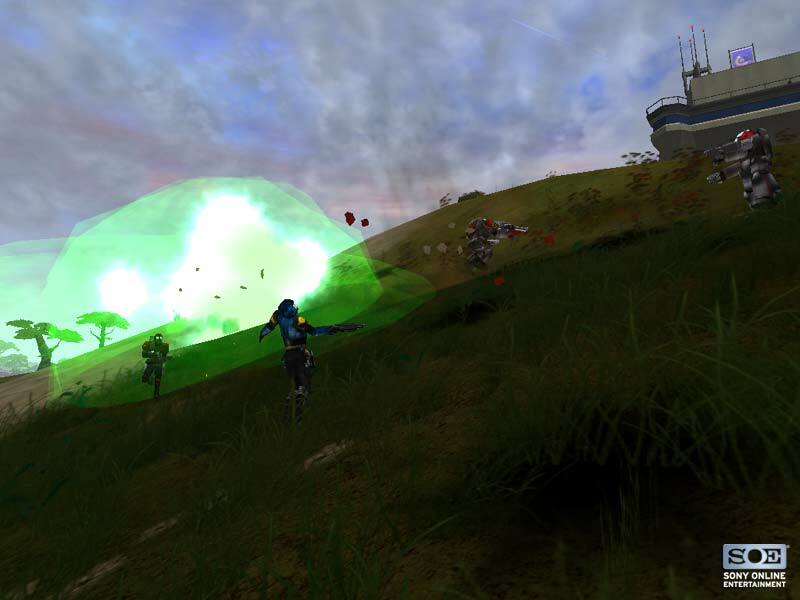 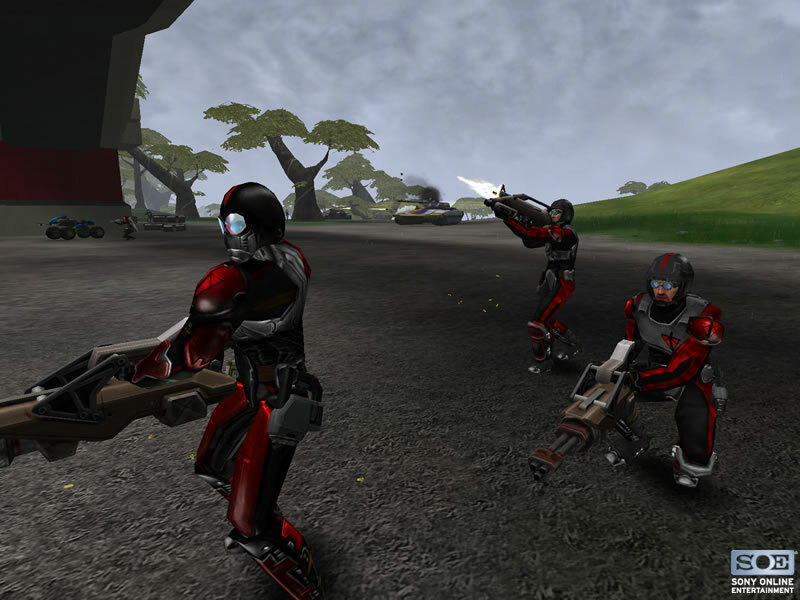 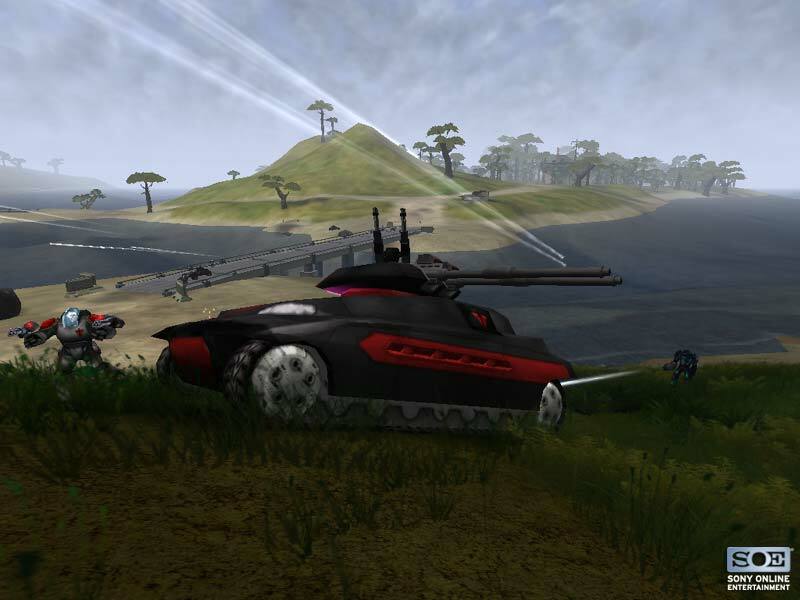 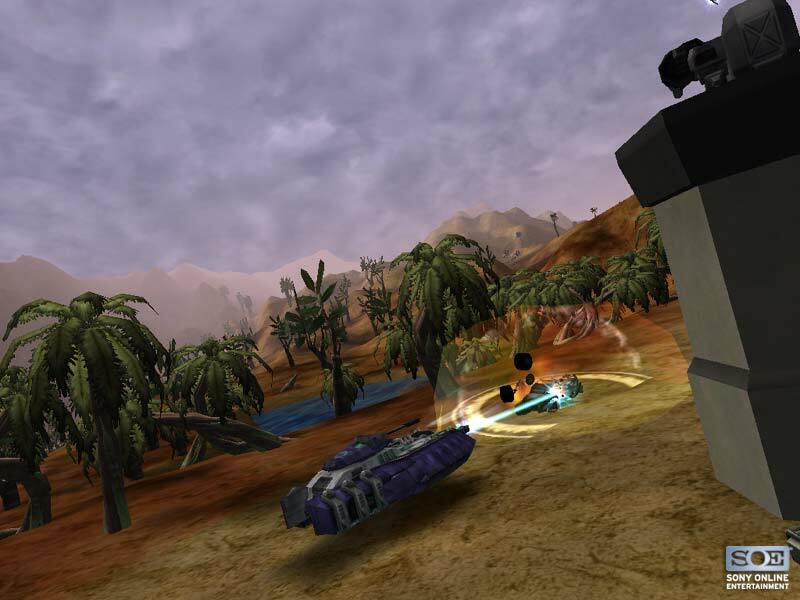 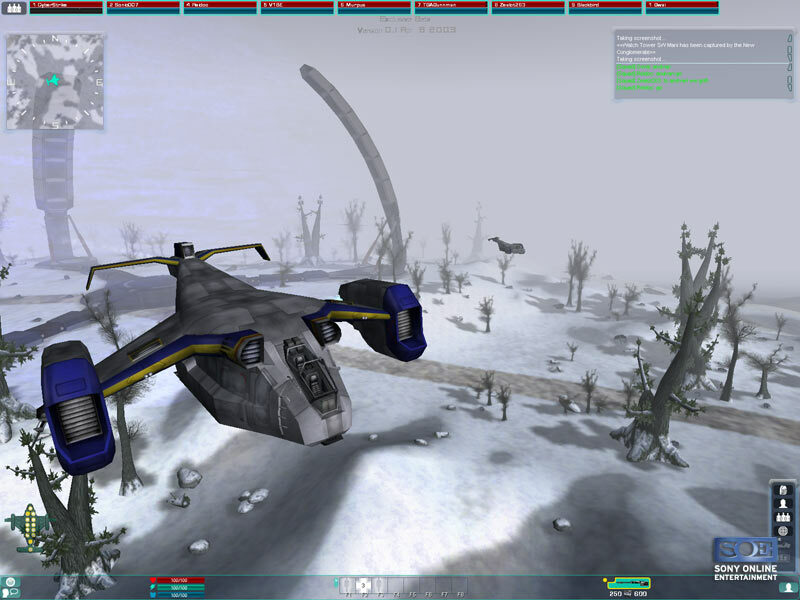 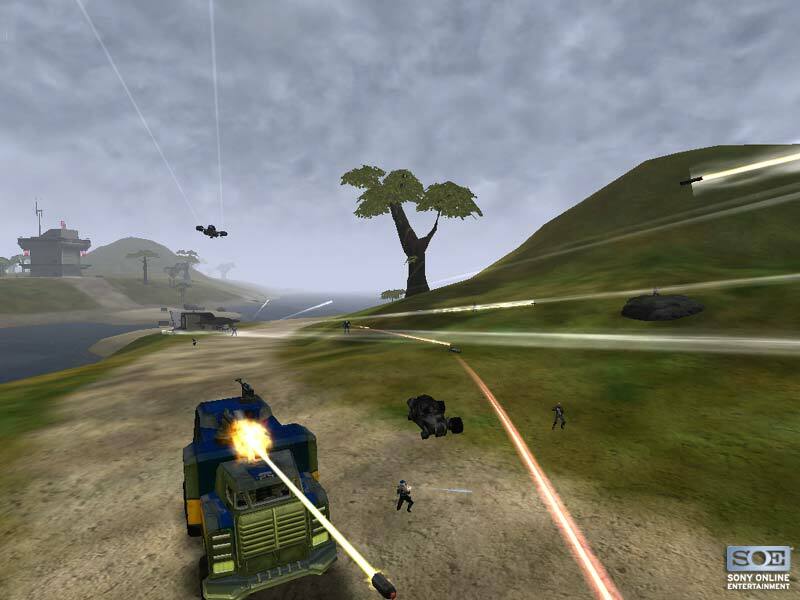 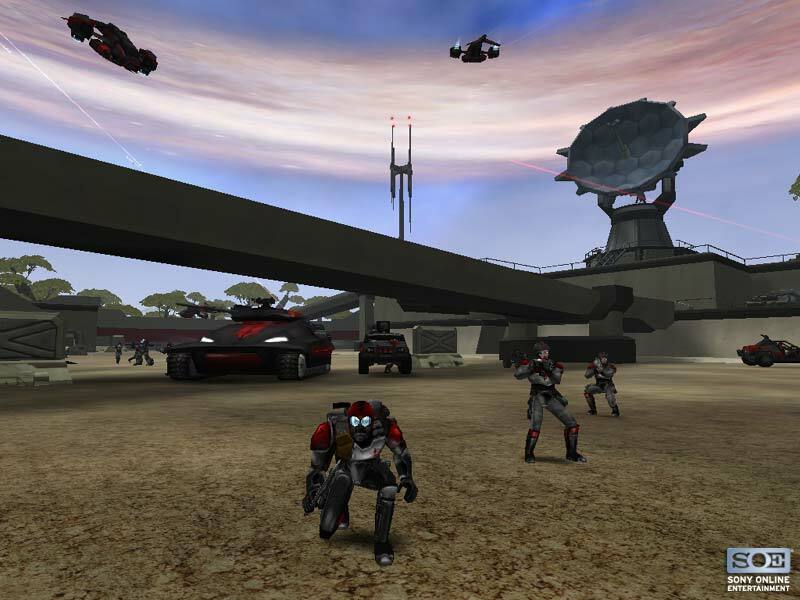 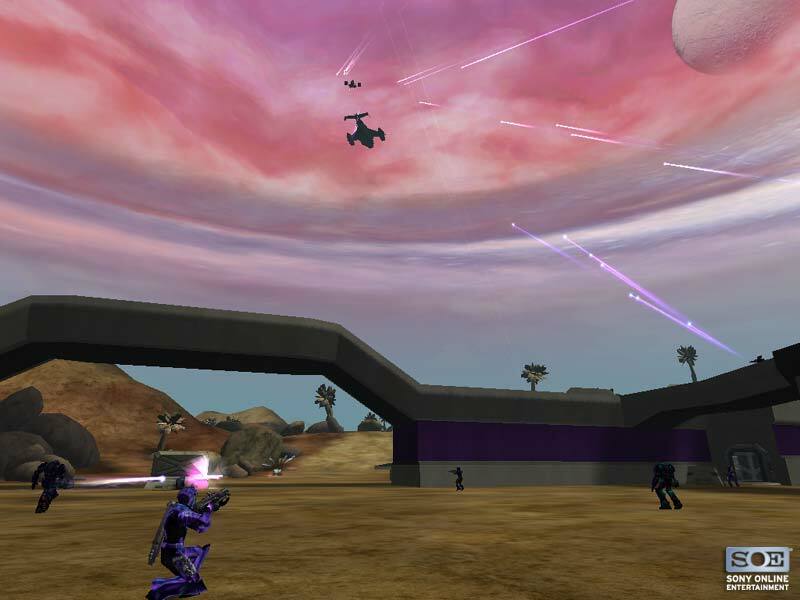 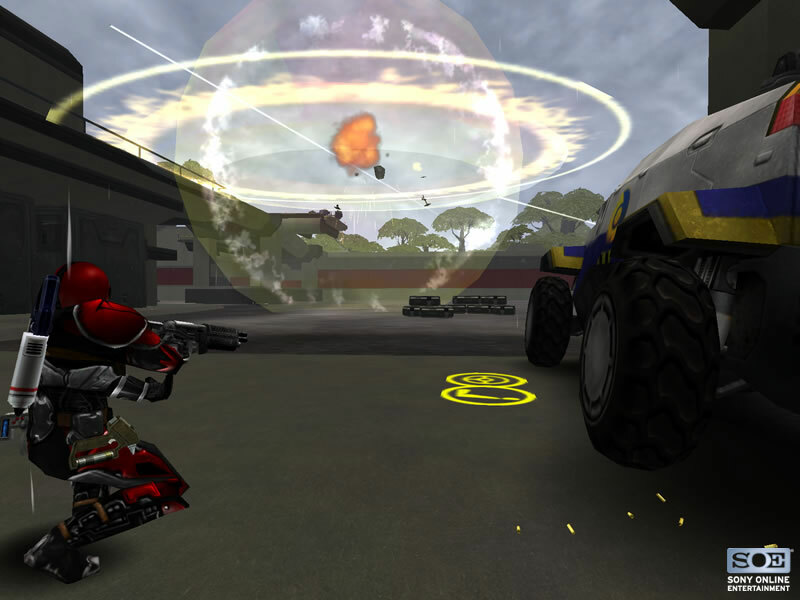 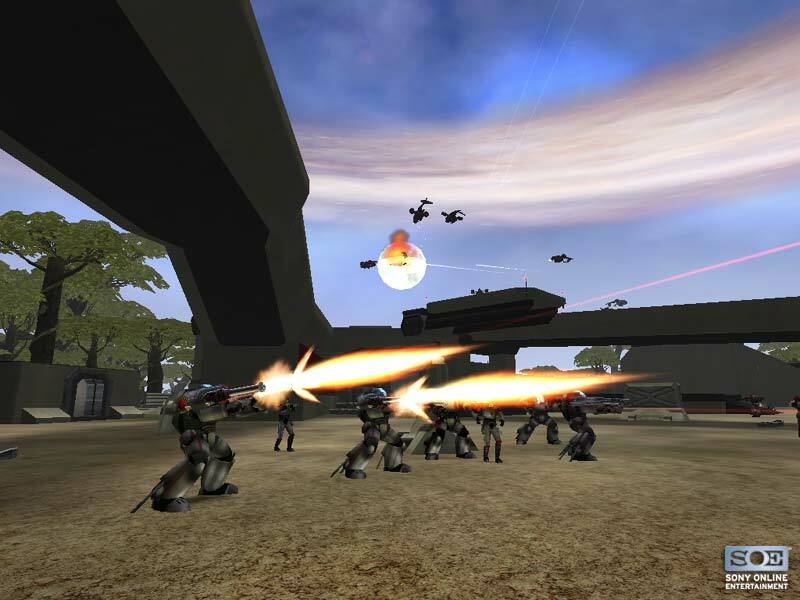 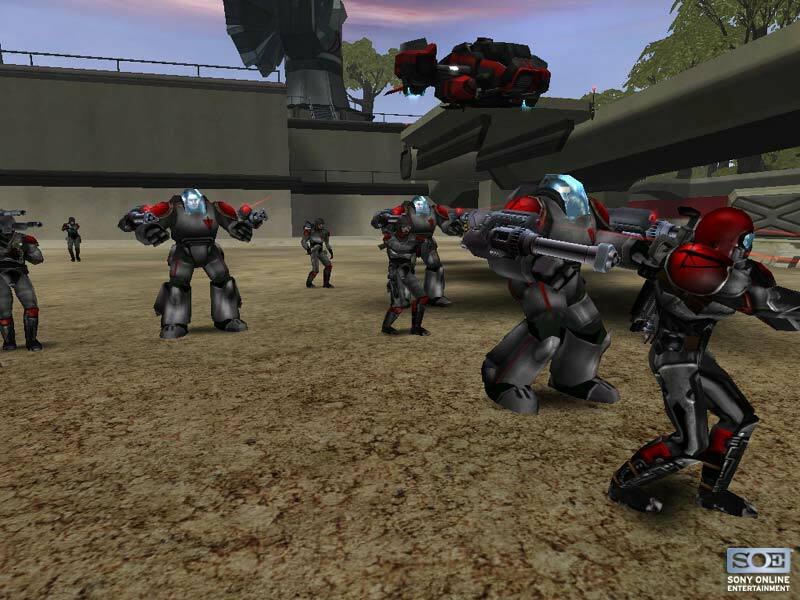 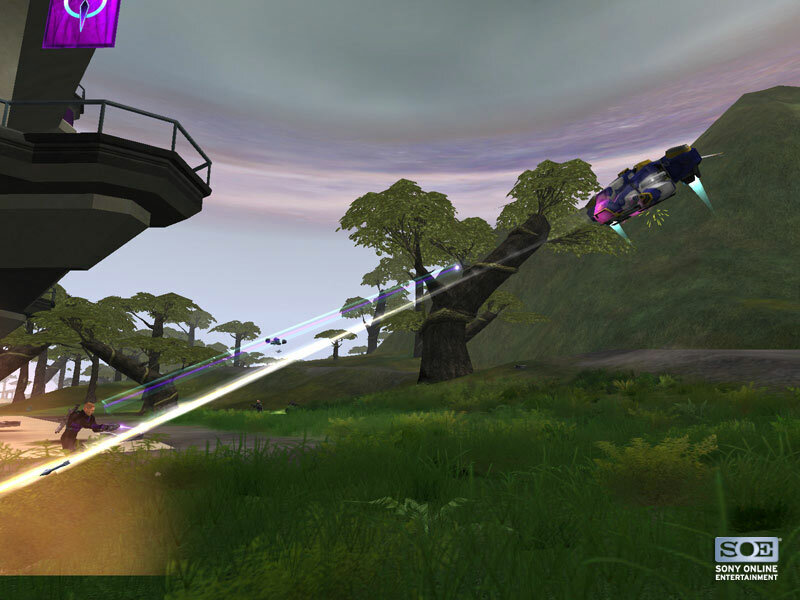 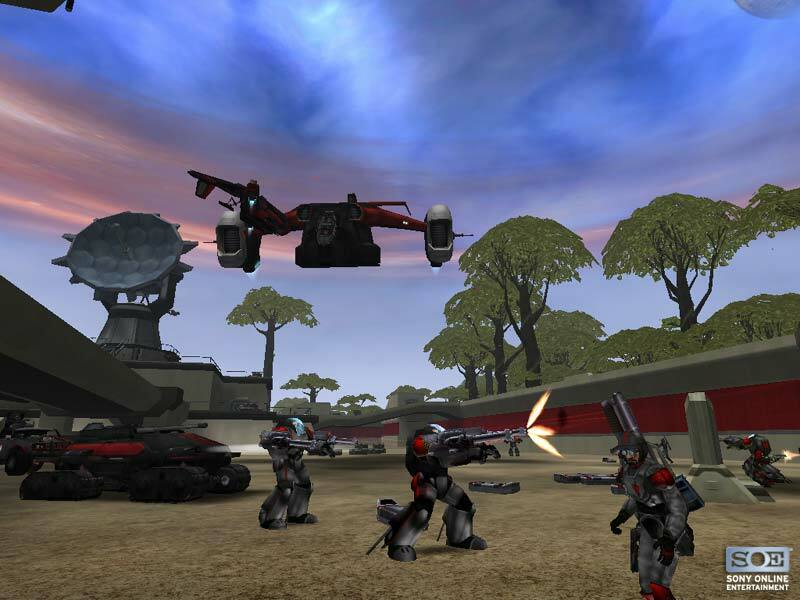 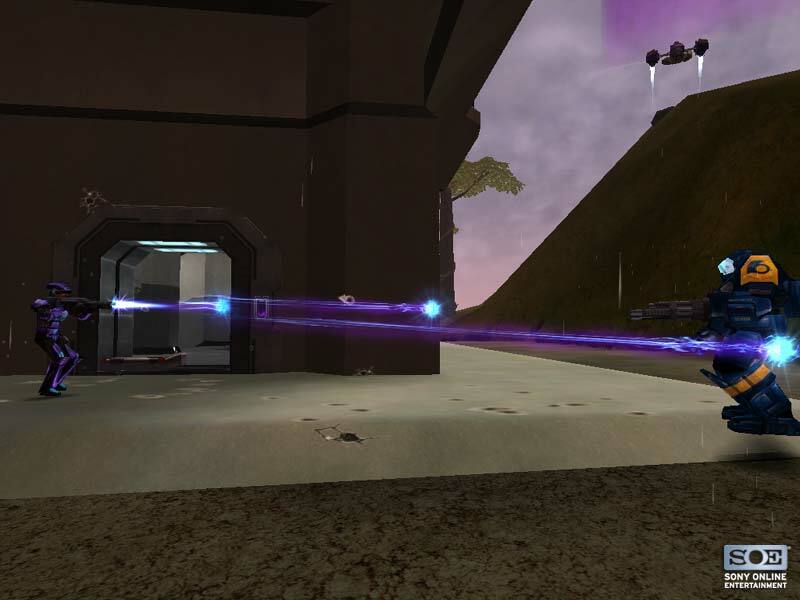 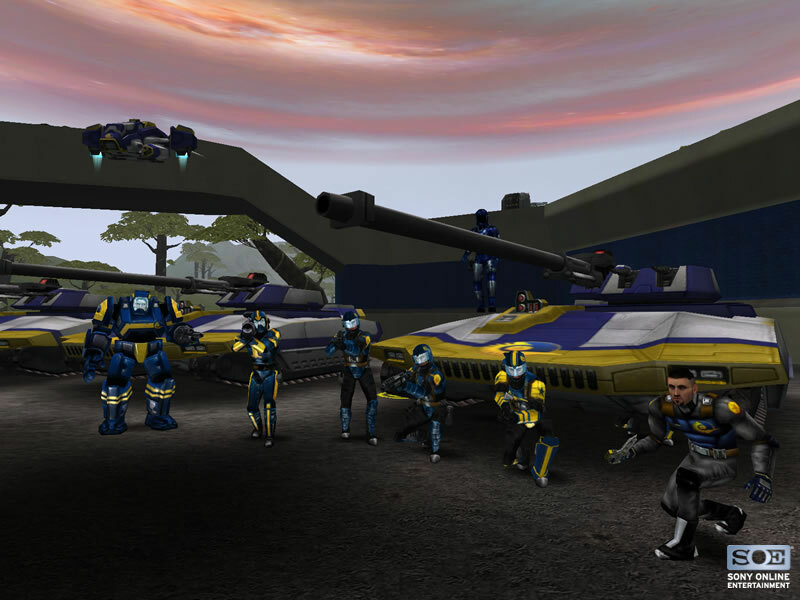 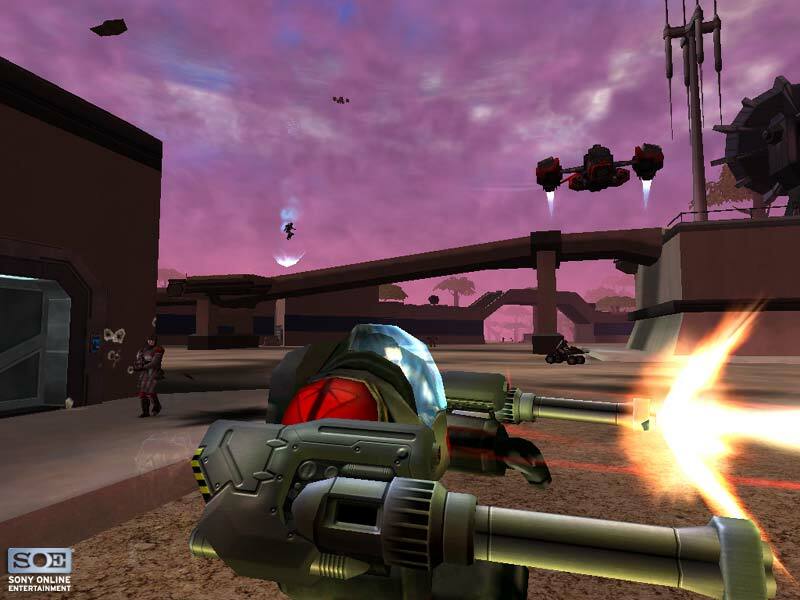 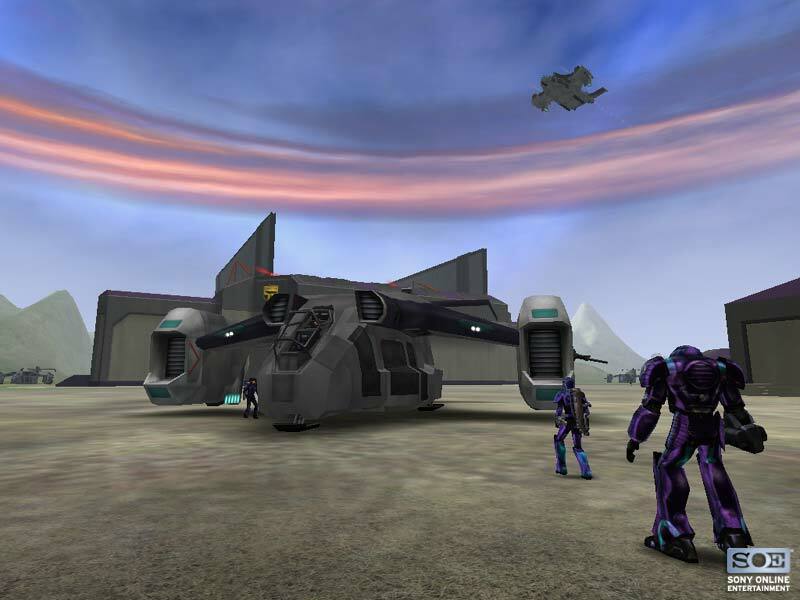 Screenshot of the Shield Module in Core Combat, released 09/11/03. 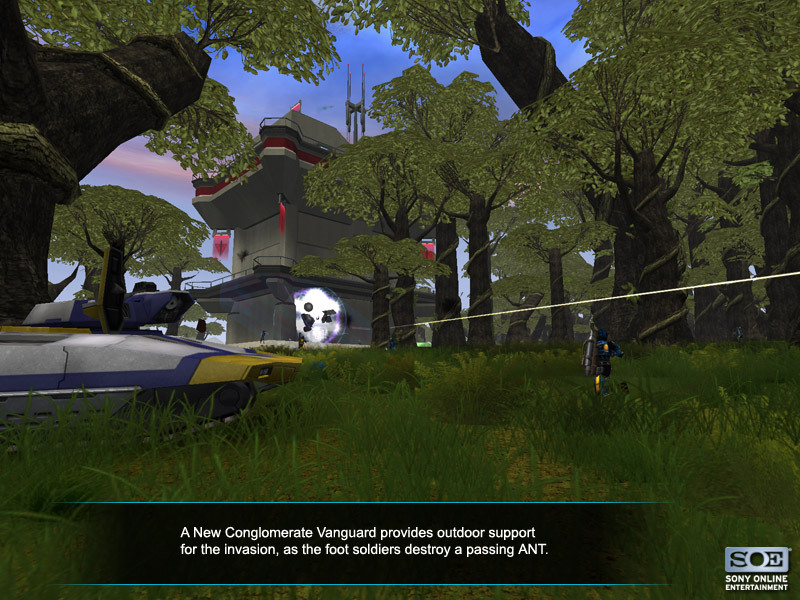 The New Conglomerate invades the Terran Republic facility. 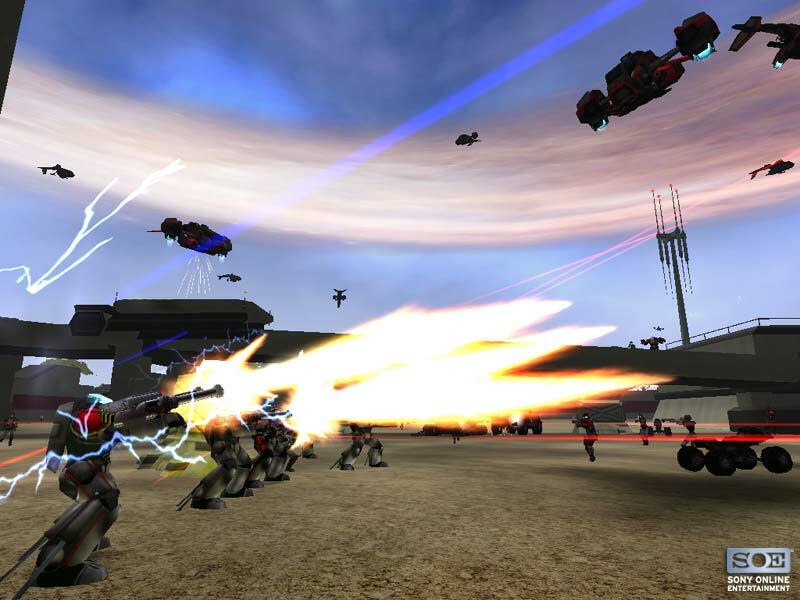 A Plasma Grenade discharges, searing the flesh of those caught inside the blast radius. 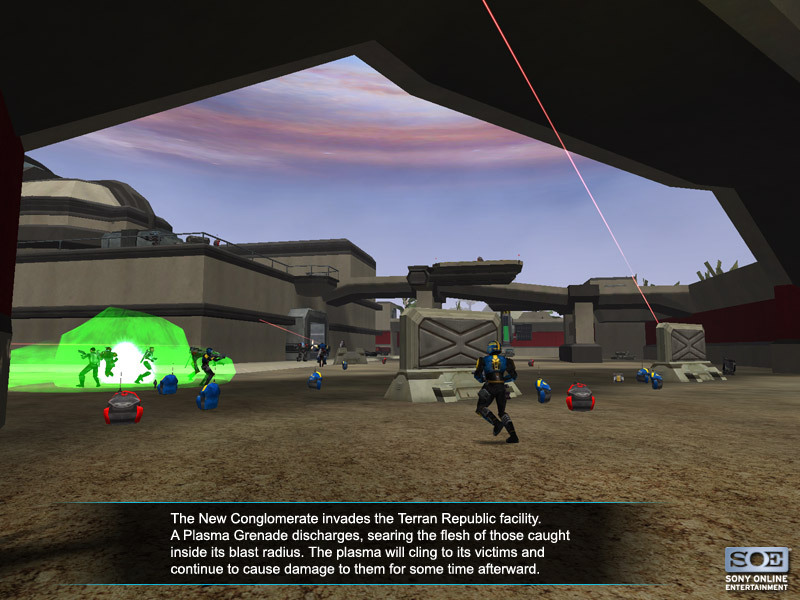 The plasma will cling to its victoms and continue to cause damage to them for some time afterward. 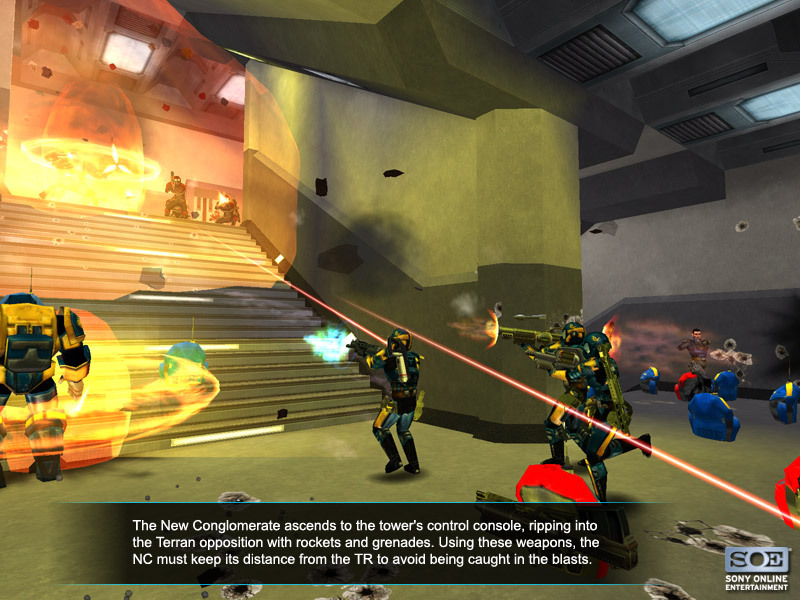 The New Conglomerate ascends to the tower's control console, ripping into the Terran opposition with rockets and grenades. 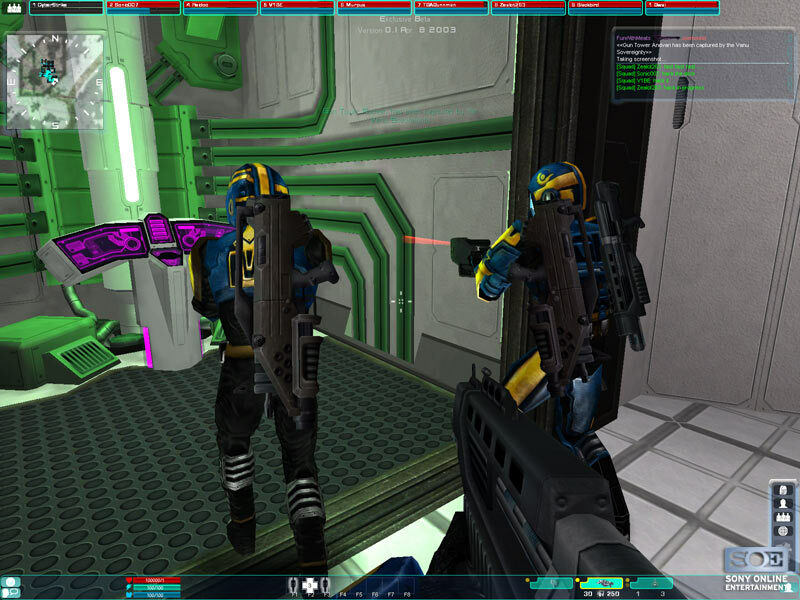 Using these weapons, the NC must keep its distance from the TR to avoid being caught in the blasts. 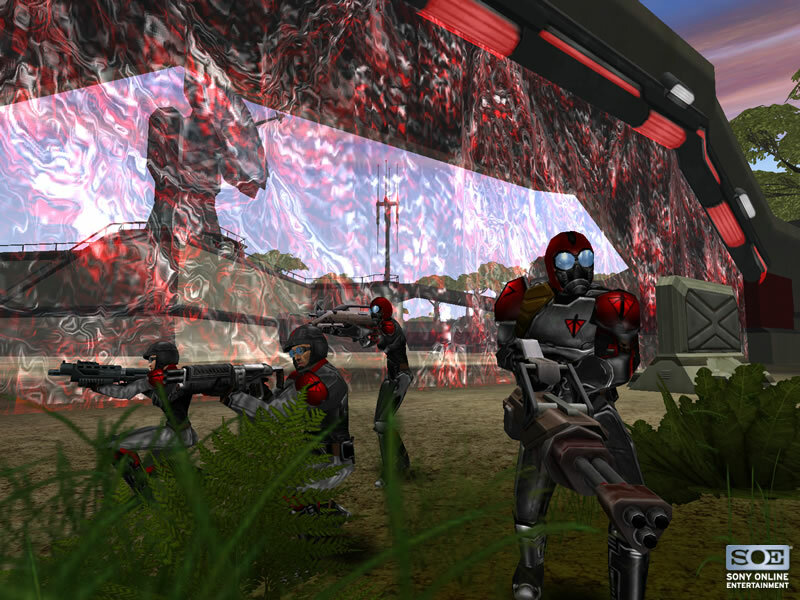 A new Conglomerate soldier and his compatriots approach a Terran Republic Tower. 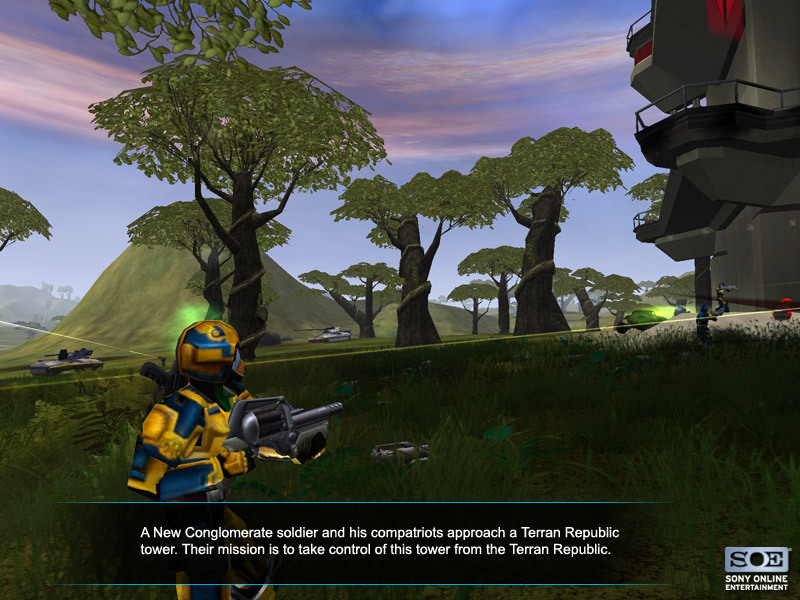 Their mission is to take control of this tower from the Terran Republic. 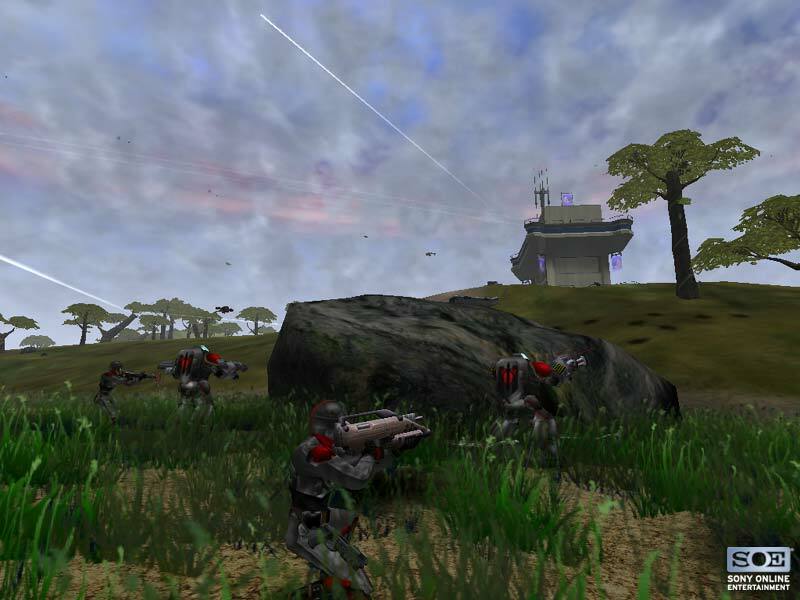 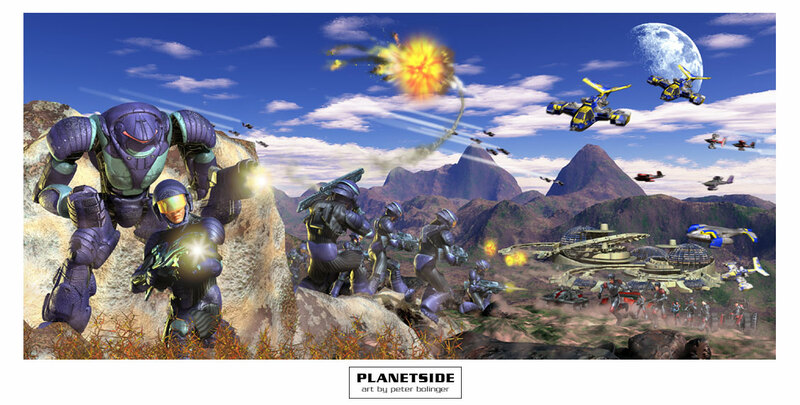 Several TR soldiers move in for an assault, in the background a Vanguard and Lightning go at it. 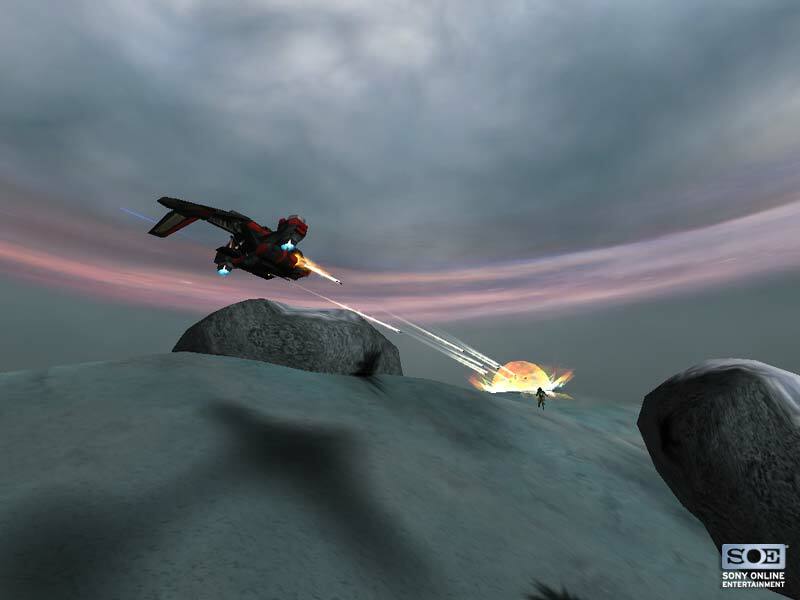 An air vehicle explodes while a TR soldier looks on.